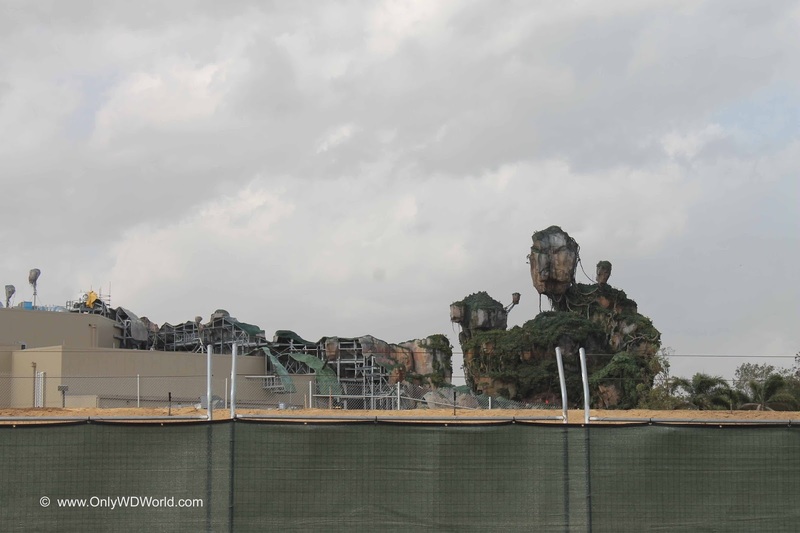 Pandora - The World of Avatar is set to open this Summer at Disney's Animal Kingdom, but here are some images just captured to show the progress of construction. 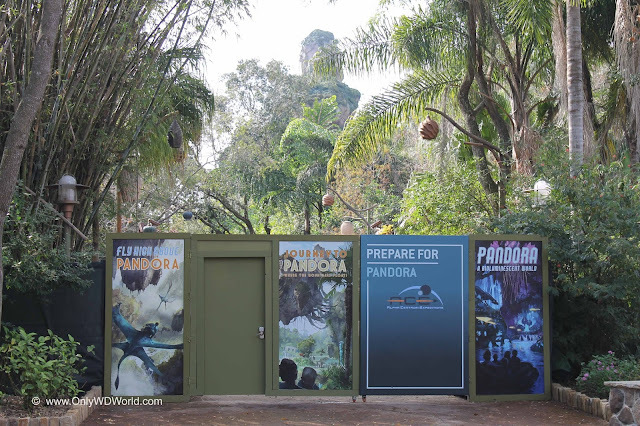 The above picture shows a construction wall at the entrance to the new Pandora - The World of Avatar section of Disney's Animal Kingdom and a glimpse of the impressive floating mountains that were made famous in the movie. 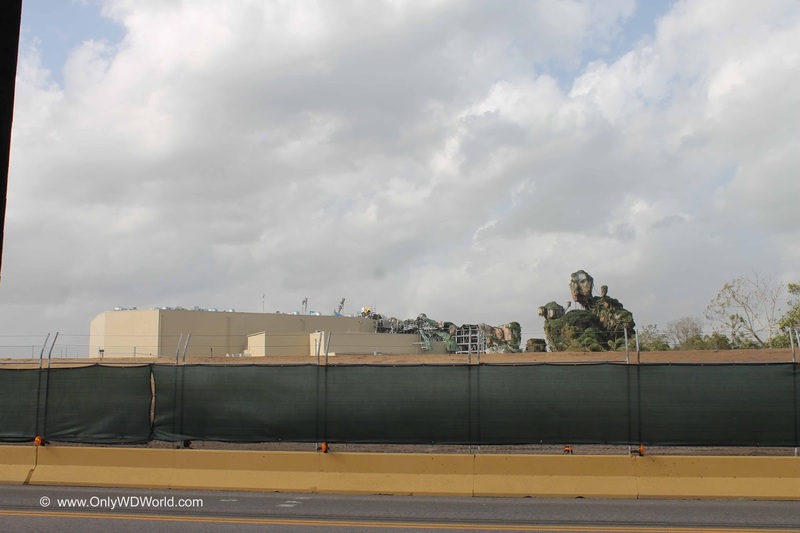 Disney World guests are getting ready to step into what promises to be an immersive environment that will transport them into the world that James Cameron created with the help of both James Cameron and his team combined with the talents of Joe Rohde and the Disney Imagineers. The family friendly Na’vi River Journey will send guests down a sacred river hidden within a bioluminescent rainforest. 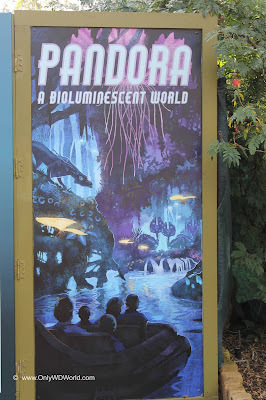 Their journey will end in an unforgettable encounter with a Na’vi Shaman, a figure who has a deep connection to the life force of Pandora. 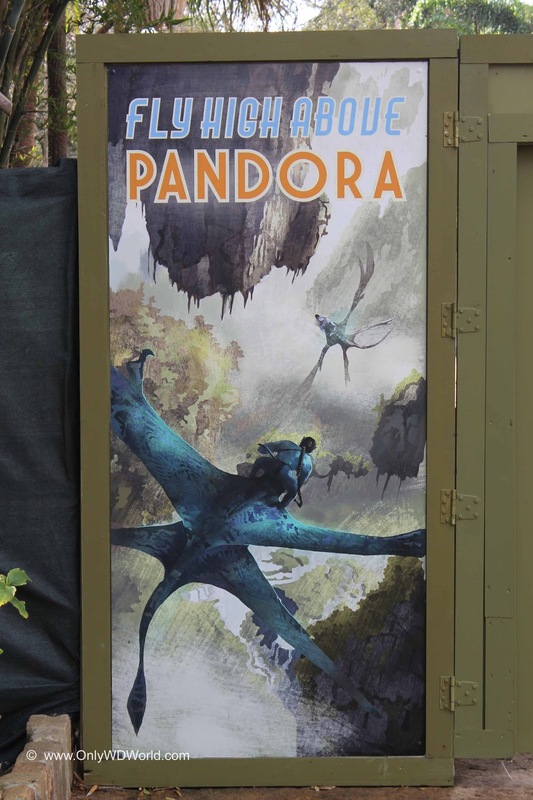 The Avatar Flight of Passage excursion will offer the jaw-dropping experience of riding on a Banshee over the world of Pandora. 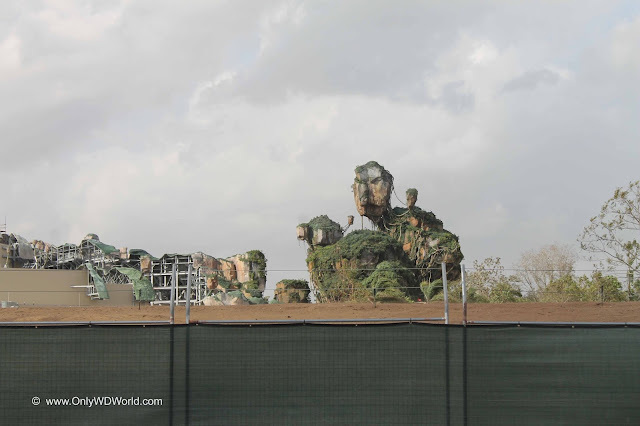 Shown above are different angles of the construction of the giant show building and the floating mountains of Pandora. 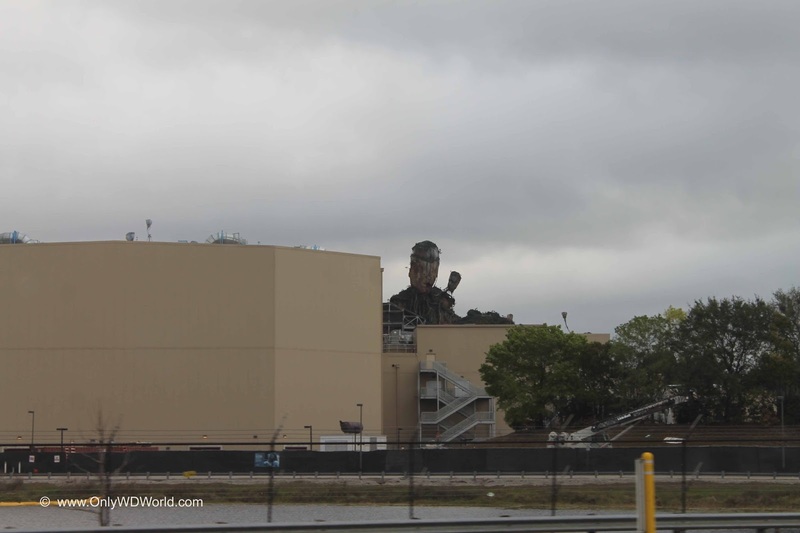 These can be seen by Animal Kingdom visitors, but you cannot get any closer to them at this point in time. Excitement builds to see if the amazing Joe Rohde who led the original design team for the Animal Kingdom theme park again succeed with his skill at creating detail and story filled attractions and spaces that transport guests into the heart of the stories. 0 comments to "Construction Update: Pandora - The World of Avatar at Disney's Animal Kingdom"